The World Parkinson’s Congress (WPC) 2016 is upon us. Starting today through Friday people with Parkinson’s disease, caregivers, doctors, researchers and other healthcare professionals from around the world will convene in Portland, OR. The WPC’s mission is to facilitate an open worldwide dialog to help expedite a cure and best treatment practices for this devastating disease. 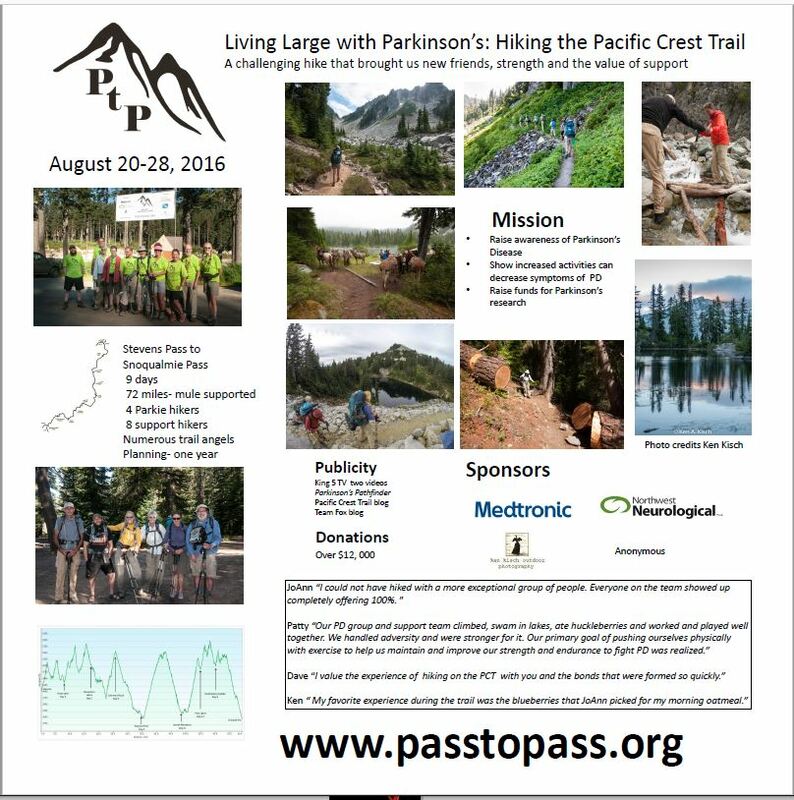 Pass to Pass is doing its part by being a presenter in the WPC poster project at the WPC (read the abstract here). We will have a 42×42 inch poster on display with photos and diagrams describing Pass to Pass, its mission, the experiences gained and the challenges met. If you attend, be sure to see the post on display in Exhibit Hall B Level 1 – poster number P40.23. Some of the hikers will be present at the poster Friday Sept. 23 11:30-1:30 to talk about the experience and answer questions.